Ten days ago, the sky betrayed you. The world went dark. The sun vanished. Five days ago, They came. And now They're coming for you. Keep moving. Don't lose hope. And stay in the light. 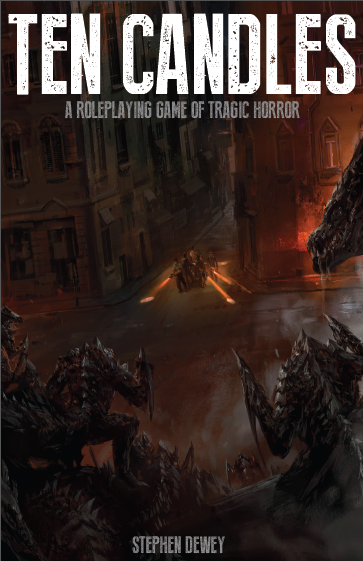 Ten Candles is a tragic horror tabletop roleplaying game based around cooperative storytelling. It is designed for one-shot sessions (rather than ongoing campaigns) and can be played with any number of players and one gamemaster. 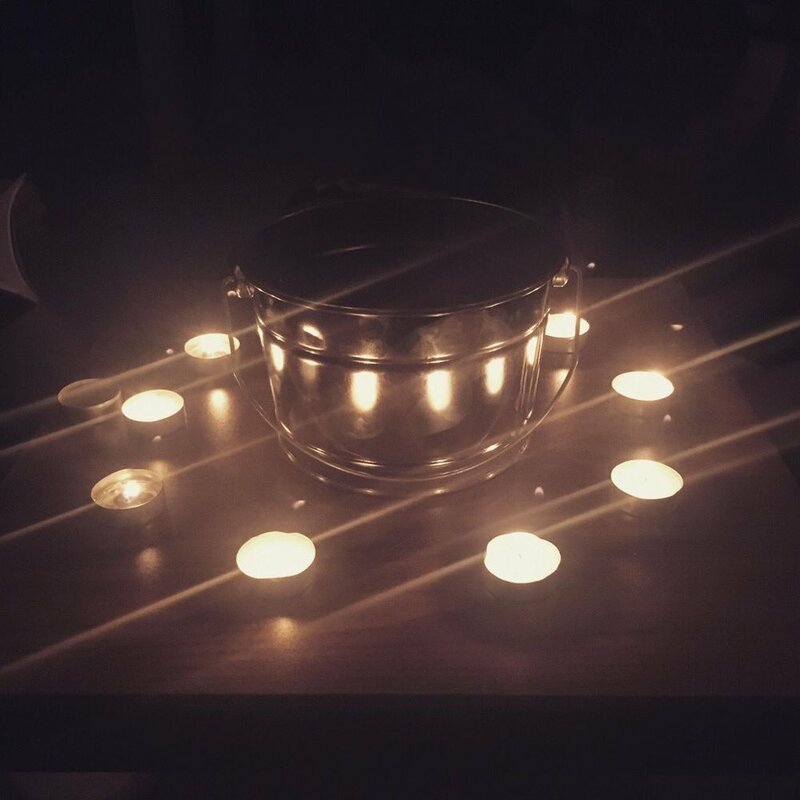 A game of Ten Candles lasts 2-3 hours. Players take the roles of survivors in the middle of a sunless apocalypse, living out the last few hours of their character's lives. The gamemaster controls Them, the unseen adversaries who stalk just beyond the light's edge. But this isn't a story about monsters. This is a story about what happens in the dark. What happens to those who fight against it, seek hope within it, and inevitably become consumed by it.